Hydro is included. Parking charges are $25 to $35 a month. 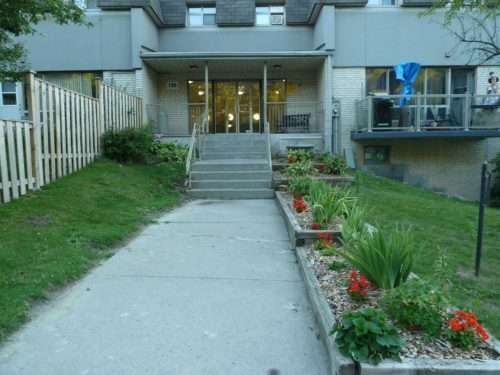 Taylor Creek Co-operative is a 107 unit co-op with a mix of townhouses and apartments. There are 78 units in the apartment building (194 Rexleigh Drive) and 29 units in the townhouse complex (190 Rexleigh Drive). The co-op is located West of Victoria Park Avenue and St. Clair Avenue. The office is located in the basement of 194 Rexleigh Drive.